Staying with the theme of health, my post for the last two days has been about healthcare in Africa, Africa’s Healthcare: Advances and Concerns Parts 1 & 2. 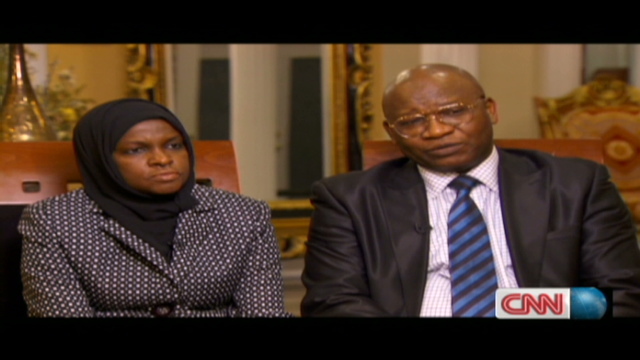 Today, I am going across the ocean and with the help of CNN, African Voices, I would like to bring your attention to the story of Amina and Isa Odidi, a husband and wife duo, who according to CNN, are helping ‘change the face of the pharmaceuticals’ industry. I am excited about this couple because as someone who takes a number of jelly beans on a daily basis, I welcome the fact that it is possible to have all of them in one pill or capsule rather than the multiple swallow exercise, millions have to put up with at present. However, what has me ecstatic about the odidi’s is the fact that, when I take the current state of healthcare in Nigeria, into account and the reality that medicines are not readily available and when they are, they are bloody expensive or even worse, fake. I hope they will one day, take this innovative business of theirs to Nigeria to help millions. I also appreciate that they are helping to change the negative image of Nigerians and show the other side – the hardworking people, we hear less of because we live in a media frenzy world that thrives on bad news. They are truly a success story and inspirational too. They own their own company, have raised high achieving kids, integrated into the Canadian society without giving up their individual identity. I best stop now, to avoid diminishing the value of their achievements. Listen and read it for yourself. (CNN) — Partners in life and in work, leading Nigerian scientists Amina and Isa Odidi are changing the face of pharmaceuticals. While raising five children, the Canadian-based couple founded Intellipharmaceutics, pioneering an innovative drug delivery system. The technology allows patients to take a drug once instead of many times a day, making it easier for them to manage and comply with doctors’ orders. “What makes this company unique is innovation, technology — its ability to make products that you can take once that are using cutting-edge, novel drug delivery systems,” Isa says of the publicly-traded firm. The couple’s journey to the top began in 1976 when they met in a university classroom in Nigeria. Their ambition led them to study abroad and they eventually settled in Canada. For years they worked for pharmaceutical company Biovail, but in 1996, they decided to branch out on their own and founded their own company. Working together to form a successful business partnership came naturally to the married couple. Last October, all of the couple’s hard work was recognized when they were asked to ring the opening bell at the Nasdaq stock exchange in New York on the first anniversary of their company going public. The moment was a special one for the two Nigerians who come from humble beginnings. “It was really the height of the whole struggle, the whole work, to be recognized at that type of level, where you have so many millions of people watching and people in industry watching,” says Isa. Having built everything from scratch, the Odidis have become respected members of the pharmaceutical industry. The long hours they’ve put into their work have paid off as the company they’ve strived to create is now earning them millions. At the same time, their success is also helping challenge negative perceptions about Nigerians. “People hear the stories of the poor and the slums and so it’s good that there are other stories out there (about) Nigerians who are doing good things, who are honest, who are hard working and doing their best,” says Amina. The professional success they enjoy isn’t the only accomplishment for the Odidis. Having raised five children, the pioneering entrepreneurs take pride in also being successful, “hands-on” parents. “In the midst of everything we did, we still had these children, we still carry them wherever we are, to raise them to be good citizens,” says Amina. Passionate and ambitious, the Odidis spend most of the hours of their day at their lab, always looking to perfect their pharmaceutical business. Anima says she’s driven by a desire to touch people who live with diseases: “That’s what gives me the satisfaction,” she says. The end result is “making a difference, not just growing the company, but making these products available to the populace, to the market,” she says. When they are asked about the secret of their success, both Amina and Isa agree: hard work. Their advice for young entrepreneurs is to persevere and dedicate many hours to their passion. “Heaven helps those who helps themselves,” says Isa. “It’s a lot of hard work, a lot of hard work,” he says. This entry was posted on Wednesday, May 4th, 2011 at 4:05 am	and is filed under Africa, Nigeria, People, World News. You can follow any responses to this entry through the RSS 2.0 feed. You can leave a response, or trackback from your own site. hahaha, Ngum, just read your comment again. That’s a so funny but true, abi, why she dey ask na? lol!! !